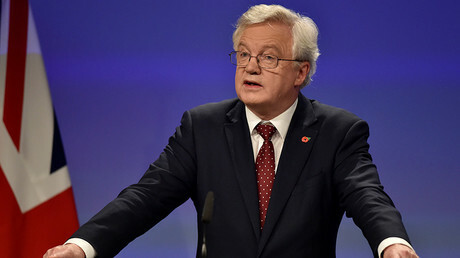 Parliament will get a vote on the final Brexit deal before Britain leaves the bloc, Brexit secretary David Davis has told MPs. The terms of the UK’s exit, including any transition deal and agreement on citizen rights, would have to become law via new legislation. That means MPs will have the opportunity to debate, scrutinize and vote on any final Brexit agreement, and reject or amend legislation. Britain could therefore leave the EU without a deal if MPs vote down the final agreement. Monday’s announcement comes after weeks of discussions with Tory rebels who had warned that they were prepared to defeat ministers by demanding a legally-binding vote on Brexit. Prime Minister Theresa May is under pressure to offer Parliament the chance to have a ‘meaningful vote’ on any deal on Britain’s departure from the European Union, with members of her own party willing to vote against the government to stymie legislation needed to sever ties with the bloc. Heidi Allen, a Tory rebel, tweeted that a fresh Bill would be “pointless” if MPs also back the Prime Minister’s plan to put the exact date and time of withdrawal in legislation. “Pointless if we have enshrined a drop dead date in the Bill & get a deal at 11th hour! There’d be no time!” she said.